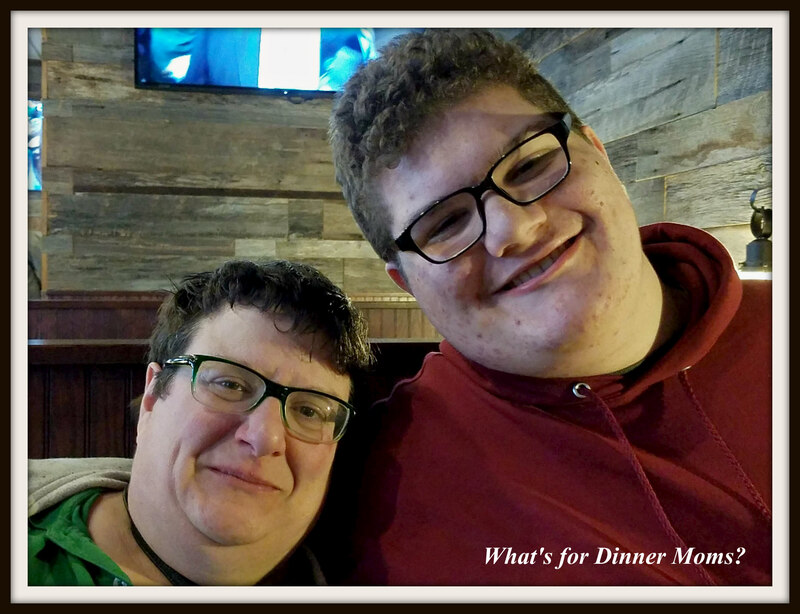 A Foodie on Vacation – What's for Dinner Moms? Spring break. 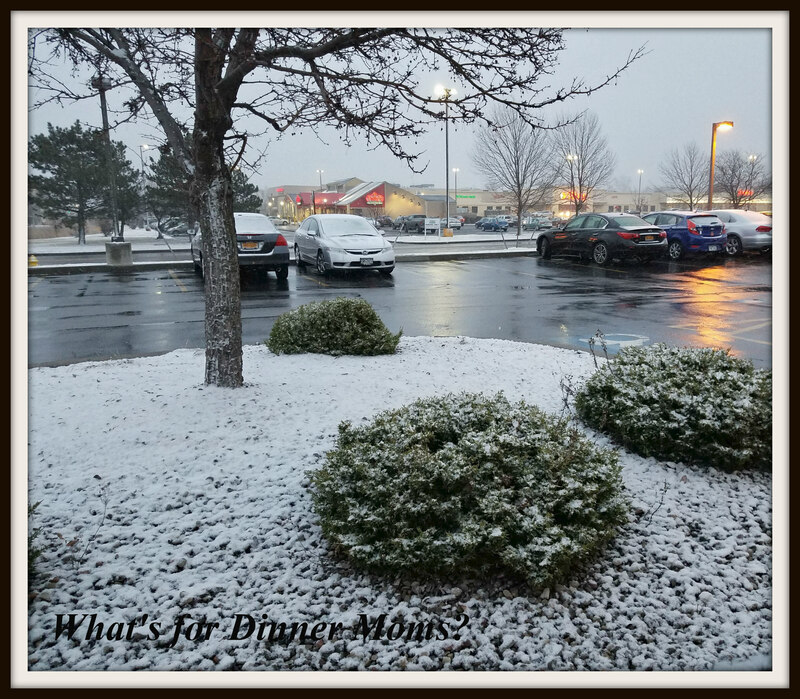 So, we headed out to Rochester, NY for Spring Break. The plan was I would work as much as possible in six days for the tax place I work for and my family would visit colleges, family, and friends while I worked. This was our first day in Rochester. Some Spring Break. Working, snow, and did I mention snow. I work in a basement office so the weather wasn’t much of a problem but the hours were a killer. I worked 8 am to 6-7 pm every night. My family would pick me up and we would head out to dinner together. That is really the only time I spent outside every day. So, this week is all about what we eat on vacation. Pictures of the family inside a restaurant. The first stop? Dogtown (click for link to website and menu). Lots of creative ideas for hot dog toppings. These are the St. Bernard on the left piled with sauerkraut, melted Swiss cheese and mustard. The one on the right is a Chicago Bulldog. 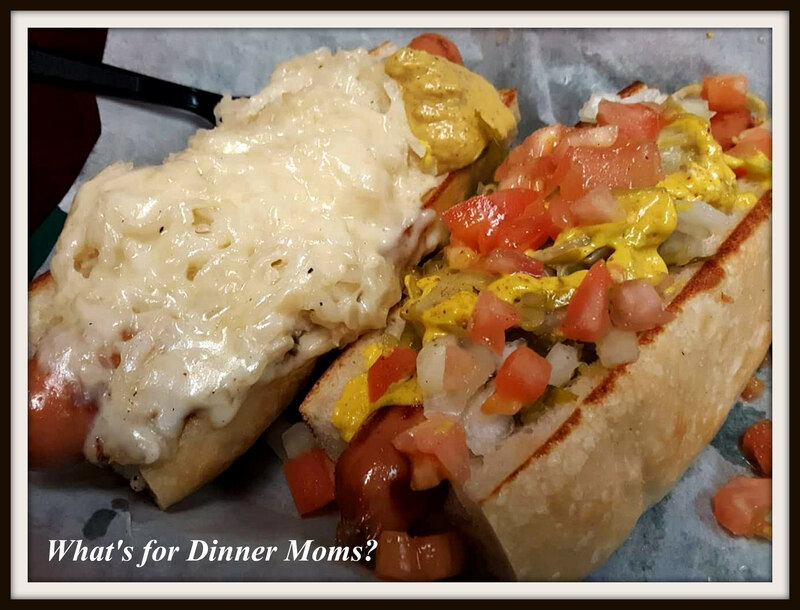 The St. Bernard is a family favorite and we felt like we HAD to try the Chicago dog because now that we have had the real ones how do others compare? This was definitely a “version” of the Chicago dog not a real one. The relish was not the bright green sweet relish and the pepper was a pepperoncini not a sport pepper. It was good, just different. Sides are plentiful and yummy to. The rolls and hot dogs are what make this meal though. Local Zweigles hot dogs are served. The rolls are soft on the inside and crusty on the outside to add another dimension to the dish. First stop complete! Coming up Buffalo wings. Now you have me craving a Chicago dog 😋😄 Take care! Real Chicago dogs are so good! Have a great week! Tell me about it!! You all have a great week too, Marci! Sounds like Spring Break is more of a break in order to work for you. Long working hours indeed. But it looks like the food is really good. Enjoy the time as much as you can. Btw. we had snow last Friday morning too over here… thank God it was all gone by the afternoon! Do you get much snow? I would think so but I don’t really know much about your area. I am living in the Alps. But the place I am living is about 1470 feet above sea level. It depends. We had unusual mild winters without snow and then again (like last winter) it wouldn’t stop snowing and there was a high danger of avalanches everywhere! EEK! We just have the open plains and I think that is bad enough. Though I think that would be beautiful. I mean, yes, it does look beautiful indeed… but enough is enough… haha! Those dogs look so damn good! !